A summary of the Spookyard game can be found elsewhere. 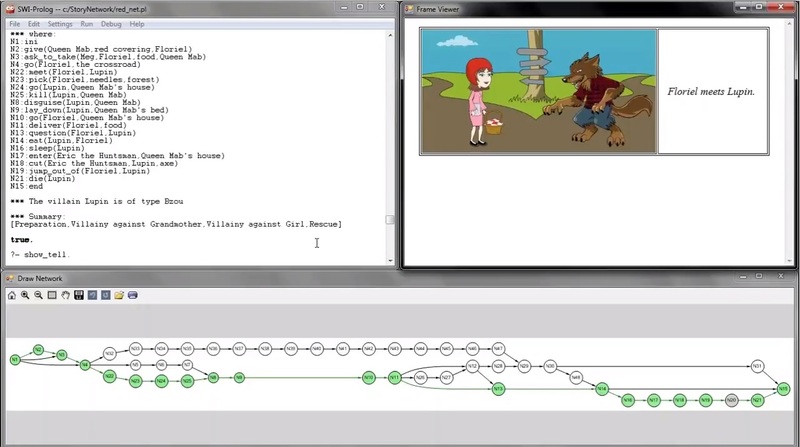 The ICAD/VisionLab laboratory, Department of Informatics/PUC-Rio, and UERJ present a new approach to story analysis and composition based on networks. As a proof of concept, variants of The Little Red Hood are easily created. The technique can also be used in serious games, such as the analysis of historical events. See the SBGames 2017 paper and the video. The ICAD/VisionLab laboratory, Department of Informatics/PUC-Rio, won the 2nd-place award of the SBGames game show held in Curitiba, Brazil, Nov 2-4 2017, with its experimental game Spookyard. Students from the Art & Design Department (PUC-Rio) were an essential part of the winning team. About 40 exhibitors (most of them gaming companies) participated in the contest, with the Spookyard game being the only student game among the fair’s winners. SBGames is the largest and most important conference on digital entertainment and game development in Brazil. 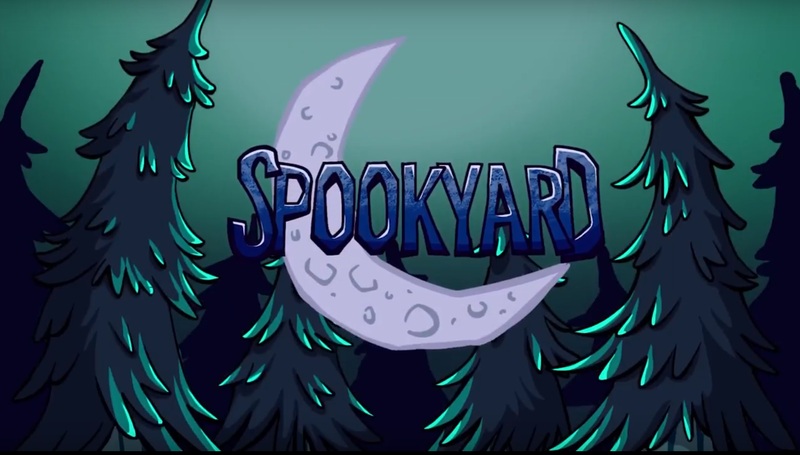 Beside the quality of the game design, Spookyard reached a technological achievement because is completely written in Lua – a computer language developed at PUC-Rio and used worldwide. The soundtrack of the Spookyard game, composed by Augusto Baffa – research leader of ICAD/VisionLab – won a honorable mention at the SBGames art show, held in Curitiba, Brazil, Nov 2-4 2017. 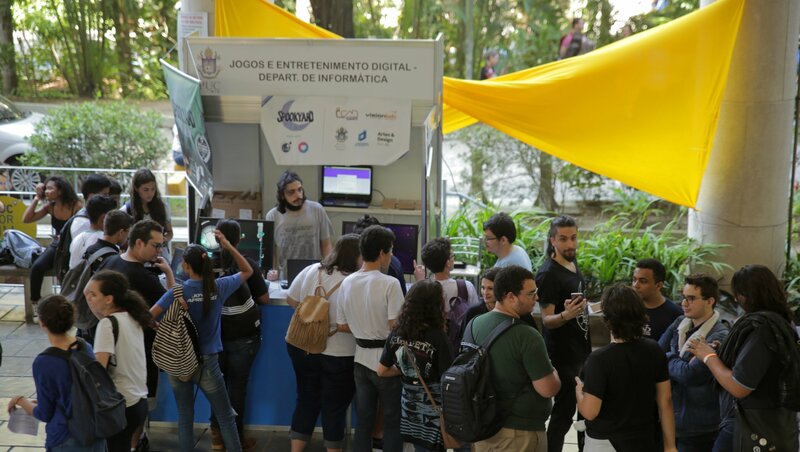 SBGames is the largest and most important conference on digital entertainment and game development in Brazil.